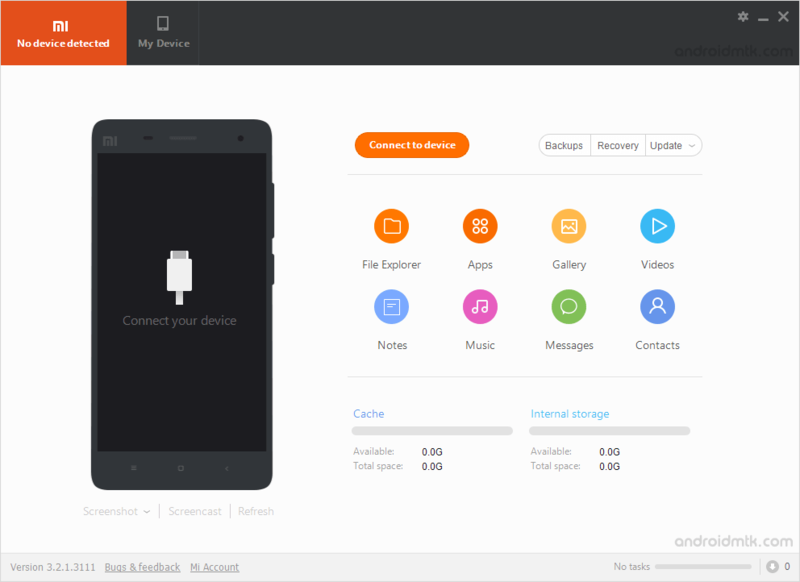 Xiaomi PC Suite is the official Phone Manager Application made by Xiaomi, which allows you to easily manage your Xiaomi Smartphone through the Windows Computer. Here on this page, we have managed to share the latest version of Xiaomi PC Suite along with the previous versions. It allows you to easily Manage any file from the device to the computer using the File Explorer. It allows you to Sync Data between the Xiaomi Device and the computer. It allows you to Backup the Existing Applications from your Xiaomi Device and install any 3rd Party App on the device in a single click only. It also allows you to easily remove or uninstall the applications from the device. It allows you to easily Manage your Device Photos from the Computer itself. You can easily transfer all the Photos to the computer, delete the photos and easily edit them. It allows you to Transfer or view your device Videos from the computer itself. You can also Batch delete the Videos or make the Backup of them on the computer itself. It allows you to read the Notes Entries from the Device. You can easily read and Modify the Existing Entries and add new entries in the Note from your computer. It allows you to Listen the existing Music from your Xiaomi device, batch select and Delete the Music, Moving the Music Files from your Device to the Computer or from Computer to the device. It allows you to easily Create, Edit or Delete any Existing contacts from your device. It also allows you to Add Photos to the Contacts, Edit their E-Mails, Add their Birth date, Backing up the contacts on the computer. It allows you to Create New Messages, Edit or delete the existing Messages from the Xiaomi Device. You can easily send the Message to the multiple contacts in a single Go. It allows you to take the screenshot and Cast the Device screen on the computer. It also allows you to create the Complete backup of your Xiaomi Device, which can be restored anytime. [*] Compatibility: It is compatible with Windows XP, Windows Vista, Windows 7, Windows 8, Windows 8.1 and Windows 10 (x64 or x32 bit computer). [*] Credits: Xiaomi PC Suite is created and distributed by Xiaomi Mobility Inc. So, full credits goes to them for creating and sharing the tool for free.